I love a good play on words and how about this cute teapot today? I think it is simply the bees knees. Every time I see this one it just makes me smile. Created by Blue Sky this cute teapot has a removable head for easy filling and one of the “arms” serves as the spout. How can you not look at this one and smile? It’s as cute in the back as it is in the front. I think this teapot has as much character as any one in my collection, don’t you? When you sit in a café, with a lot of music in the background and a lot of projects in your head, you’re not really drinking your coffee or your tea. You’re drinking your projects, you’re drinking your worries. You are not real, and the coffee is not real either. Your coffee can only reveal itself to you as a reality when you go back to your self and produce your true presence, freeing yourself from the past, the future, and from your worries. When you are real, the tea also becomes real and the encounter between you and the tea is real. This is genuine tea drinking. She looks quite jolly. It’s good to be the Queen! I also love that tea quote you shared. Thanks, Kestril! This one definitely has a lot of character and sass! I so look forward to Teapot Tuesday and you never disappoint! This one is full of character. The Thich Nhat Hanh quotes is perfect! Thanks, Darlene. She is such a cute one, isn’t she? Teapot Tuesday is like fine wine it gets better over time! Thanks, Duke! 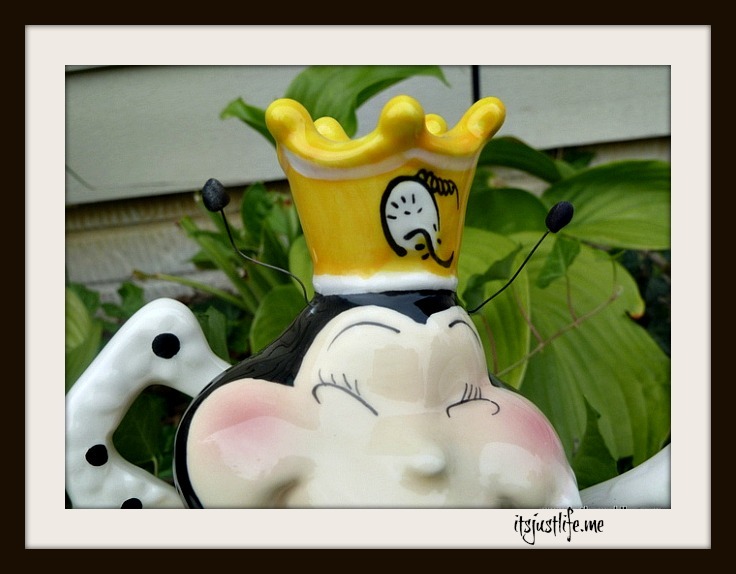 I am not sure about that but it is a fun weekly post that people seem to like! Thanks for stopping by and leaving a comment! Yes, this particular teapot just makes me smile. Everything about it from the design to the bright yellow. She’s a cutie, isn’t she? A repeat but one worth repeating. It certainly is a winner. It makes you smile for sure. Even in a world where tea may be poisoned (and so may coffee–we know for sure that Kona coffee is chock-full of glyphosate), I like Thich Nhat Hanh’s words of wisdom. Right. Tea drinkers need to be mindful about what to do about this. Releasing the emotion won’t stop the physical reaction it heralds, but it will stop us dumping the emotion on people who don’t deserve it. 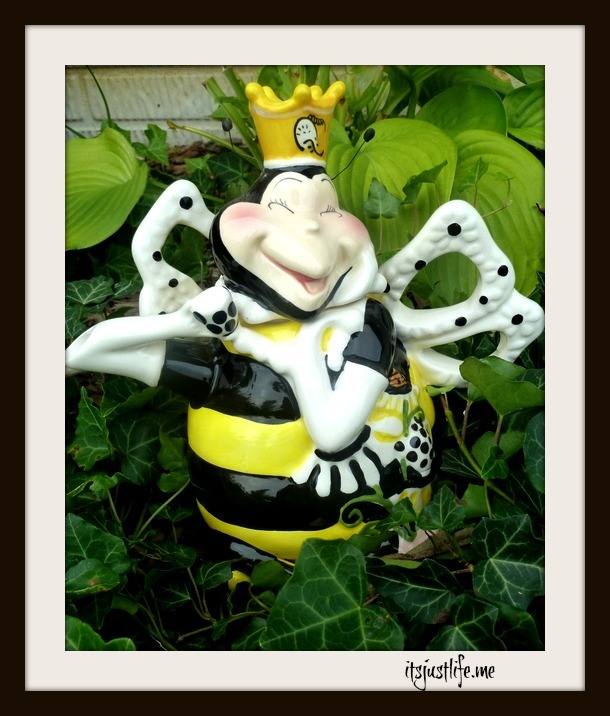 Queen Bee is certainly has character! Love it!